Areas without broadband should get priority for the fastest services in the future to avoid the digital divide deepening further. That's the conclusion of an Ofcom advisory group despite the communities they refer to being the least cost effective for the service. Consumer panel chair Anna Bradley commented: "If we are imaginative and use a mix of private and public business models, we could provide a way for consumers who are excluded from first generation broadband to leapfrog straight to the next generation," she said. She went on to say that the government could use super-fast broadband, with speeds of up to 100 Mbps, to deliver a range of public services. 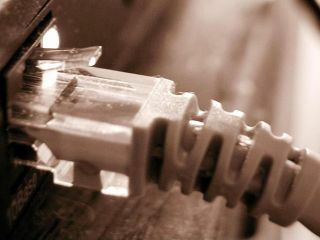 Thirty-five per cent of homes do not have internet access, while a further 9 per cent use a dial-up service when faster, cheaper broadband was available to them. Unsurprisingly, the fastest speeds are generally found in the wealthier, more populated areas of the UK.